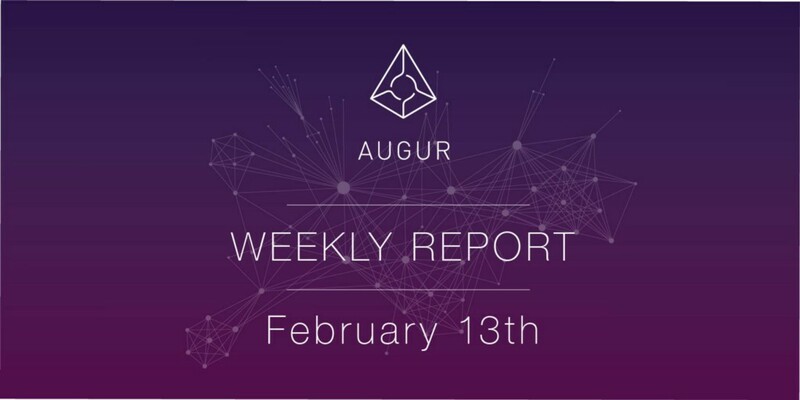 Over the past few weeks the developers for Augur have been re-organizing around three major initiatives. Designing new UI concepts that will be added to our Reference UI. These changes are taking into account a lot of feedback we’ve gotten about the usability of various features of this UI, and begin to establish best practices for communicating complex information to users. Many of these changes will be integrated into the current V1 release and will be usable with the current contracts. Implementing the new UI designs beginning with a new Trading interface, and now expanding into a redesigned Portfolio page which will make it much easier to understand what shares a user holds, as well as the states of the markets in which a user is participating. We’ve broken out tasks for each of these three major pages, and will be scheduling their development over the next four weeks. Pipelined with this developers are creating re-usable components that simplify building new UIs with the goal of having them be re-usable both within our reference UI, but to simplify third party developers building UIs that can speak to the Augur contracts.